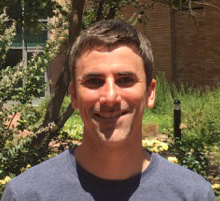 Justin Greer is currently a postdoctoral researcher in Dr. Daniel Schlenk’s lab at the University of California-Riverside. His research interest is focused on linking toxicologically induced molecular changes with their physiological and behavioral consequences. As a member of RECOVER he is studying the genomic effects of oil and chemical dispersants on mahi embryos and larvae. Dr. Greer is also examining the potential for transgenerational resistance to oil toxicity via epigenetic mechanisms. He earned his BS degree in 2007 from the University of Miami, and a Ph.D. in Marine Biology and Ecology at the University of Miami (RSMAS) in 2017.